Cape Town - It will take a great deal of work to stabilise the country’s finances, new Finance Minister Nhlanhla Nene told Fin24 by phone on Monday evening. But he is “quite confident” it can be done. As part of a major Cabinet reshuffle, President Cyril Ramaphosa announced that Nene will take over the top job at the finance ministry from Malusi Gigaba, who will return to his former post at home affairs. Nene told Fin24 the position of finance minister was a tall order, adding that "it’s going to take a lot of doing". "I was very comfortable where I was,” he said. He will be sworn in along with other ministers, including Pravin Gordhan, on Tuesday. The new finance minister said his past two years working in the private sector taught him a lot. “It’s been quite an interesting journey,” he said. As part of Ramaphosa's reshuffle public enterprises minister Lynne Brown was axed, as was mineral resources minister Mosebenzi Zwane. Brown will be replaced by Gordhan, while Zwane is set to be succeeded by ANC national chairperson Gwede Mantashe. Tinyiko Ngwenya, an economist at the Old Mutual Investment Group, told Fin24 on Monday evening that Ramaphosa's new Cabinet is "quite an impressive list". "Nene coming back is a big confidence booster and shows integrity in terms of corporate governance and credibility around the ministry of finance," she said. "This is what I would call a business-friendly or market-friendly reshuffle, especially regarding Nene and Gordhan being back in Cabinet and Mantashe at minerals," he said. "There will be a sigh of relief in the markets that finance is in the credible hands of those who understand the investor community." 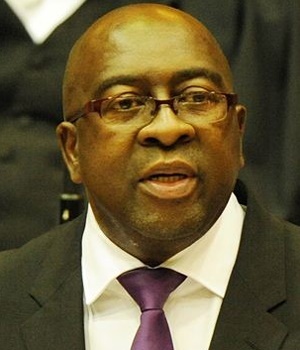 Nene was the country's finance minister for 18 months between May 2014 and December 2015, when he was axed in favour of then little-known MP Des van Rooyen. But Van Rooyen was himself ousted only three days later, after his shock appointment caused havoc. He was replaced by Gordhan who, in turn, was replaced by Gigaba as finance minister on March 30 2017. When Nene was ousted, then president Jacob Zuma promised he would be deployed a new "strategic position". But the announcement never came. Zuma later said he had nominated Nene to serve as the head of the African regional centre of the BRICS bank, but the job never materialised. Nene then moved to the private sector after resigning as an MP in 2016. Before being reappointed finance minister, he served as chairperson of the supervisory board of newly-formed Cape Town-based investment firm Arise, as a non-executive chairperson at investment company Allan Gray and as a resident adviser for the Thebe Investment Corporation. He was reportedly also a favourite for the position of Eskom chairperson in January 2018, but Telkom chairperson Jabu Mabuza was eventually appointed in an extensive leadership shakeup.